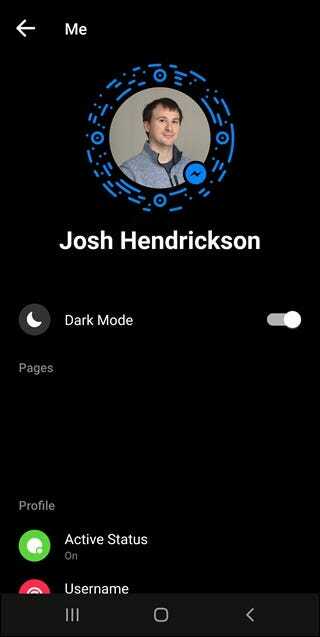 About a month ago Facebook started testing a dark mode for Messenger, but activating it required sending a crescent moon to a friend. Now you can skip that step and move straight to dark mode—here’s how. Everybody wants in on the dark mode craze. Whether it be your operating system, your email, or your browser, you can probably turn on a dark mode setting (nobody told Microsoft though). For some phones and laptops, black and grey colors will extend your battery life. And if you’ve ever checked your phone “just real quick” in a darkened theater or after turning the lights off in the bedroom, you’ve discovered that bright whites of a light theme will blind everybody and earn you enemies for life. 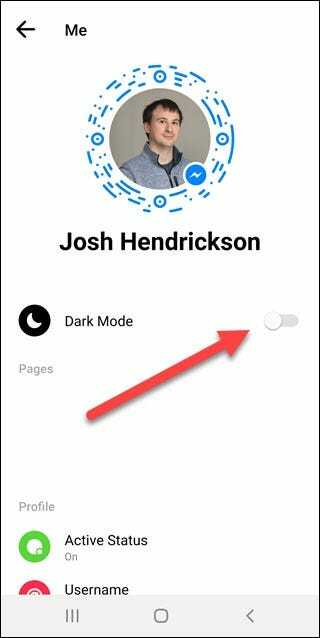 To turn on Dark Mode, open up Facebook messenger and tap on your account photo. 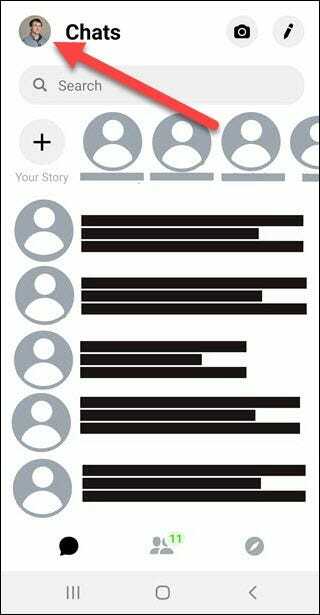 Then tap the “Dark Mode” toggle, found just below your name. And that’s it; you should see dark mode enabled immediately.